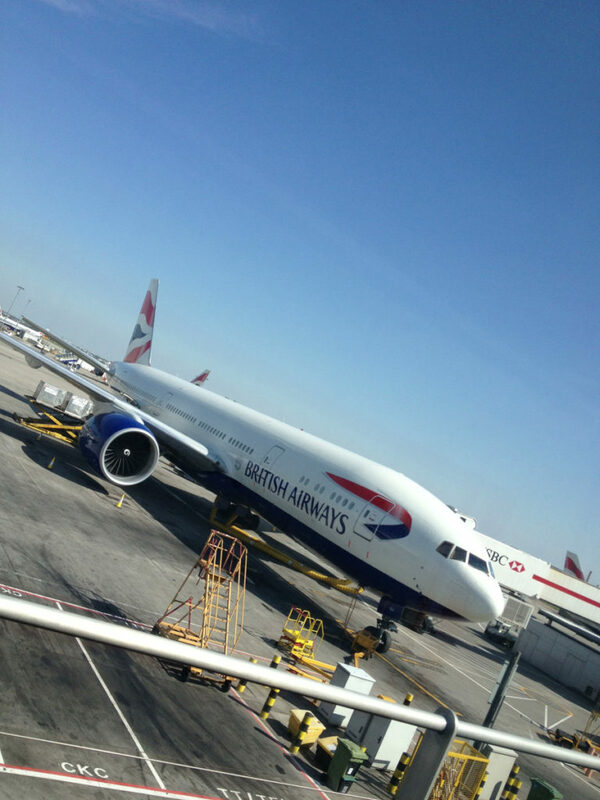 Our steed for the flight to Chicago. 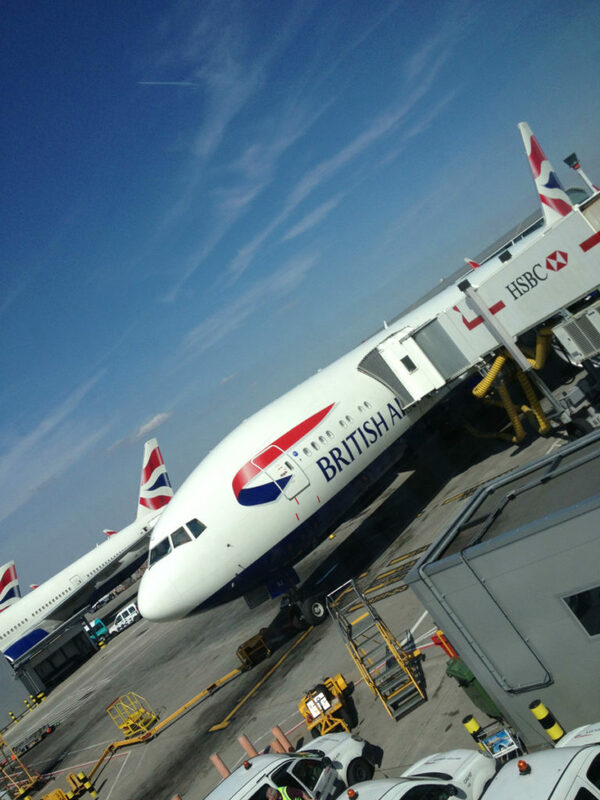 As we board British Airways Boeing 777-200. 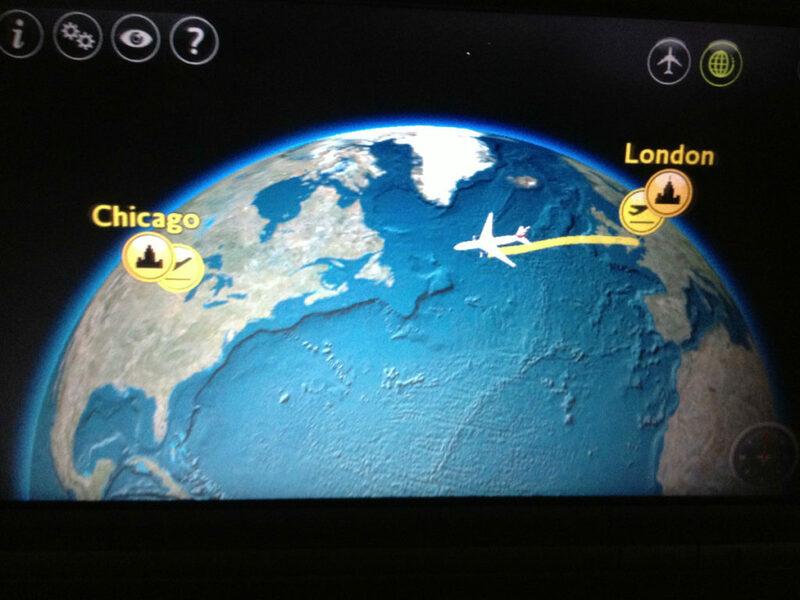 Departing London-Heathrow (LHR) runway 27R our crew performed CPT3F SID procedure towards Compton (CPT) VOR. 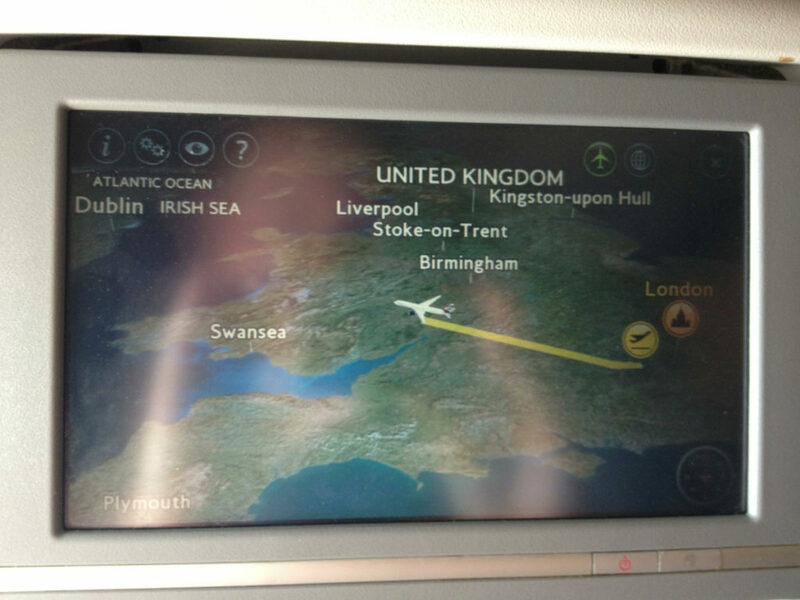 The flight took us over Wales and towards Ireland. 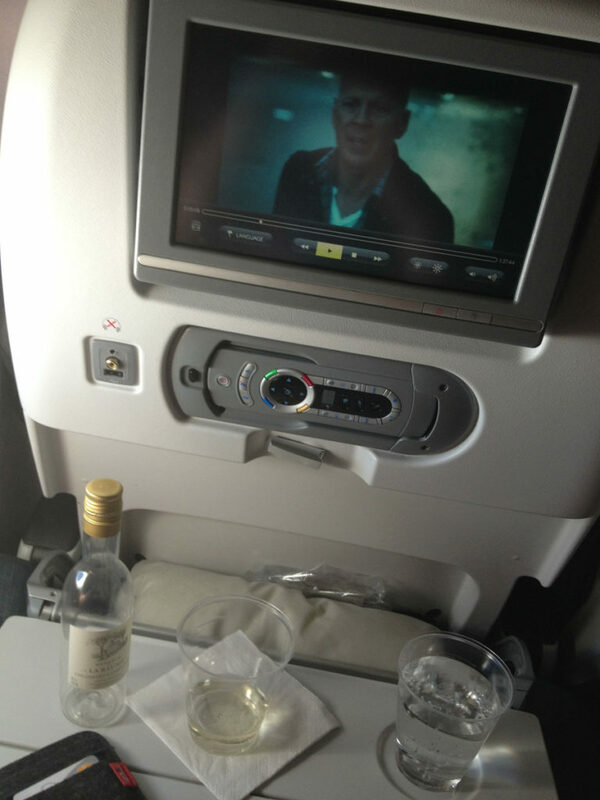 As we reach our cruising altitude we are welcomed by some drinks and the latest “Die Hard” movie. 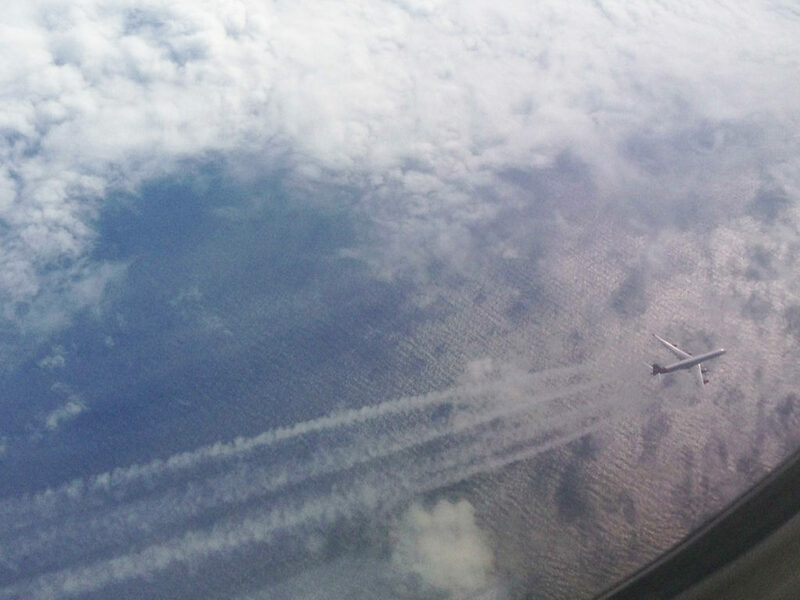 Somewhere over Northern Atlantic we chased Virgin Atlantic A340 (watch the video below). 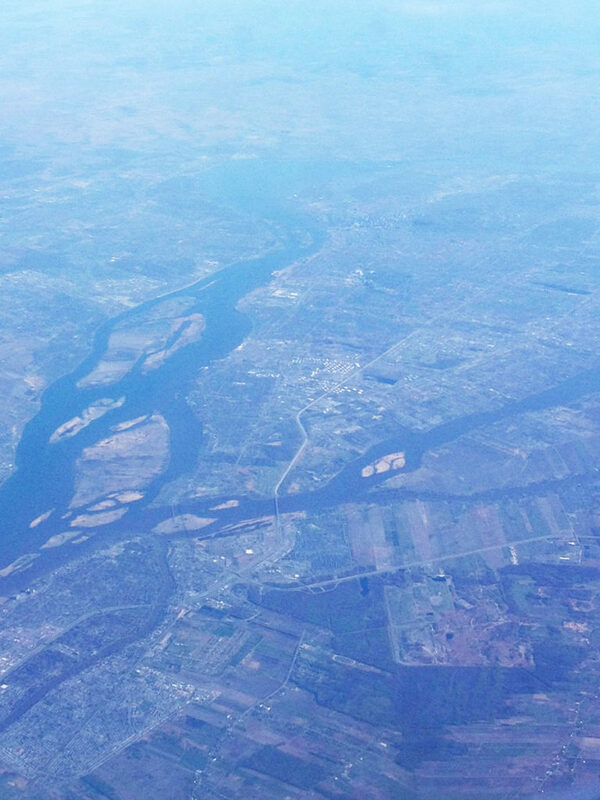 After crossing the Atlantic Ocean the route takes us over Newfoundland, New Brunswick and Quebec — overflying cities of Montreal and Ottawa. 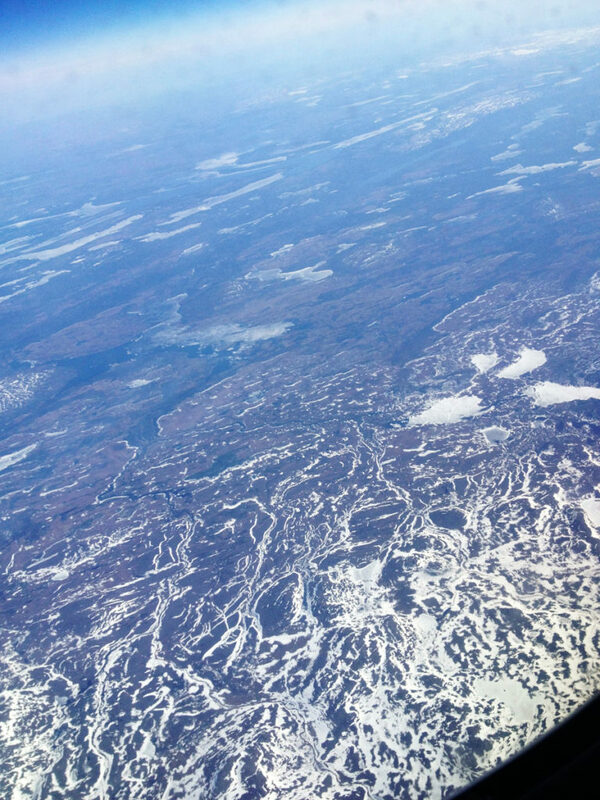 Over Newfoundland. A glimpse of Red Indian Lake. 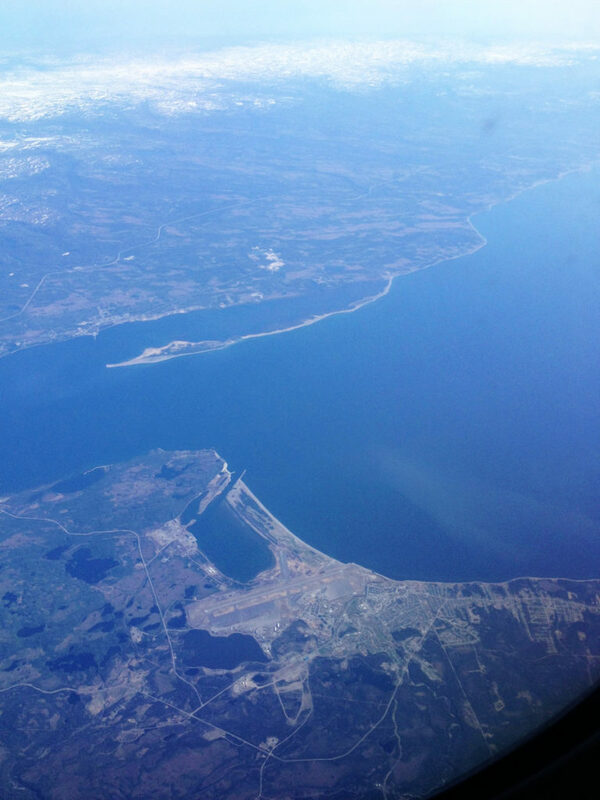 Leaving Newfoundland as we overfly Stephenville Airport (YJT). 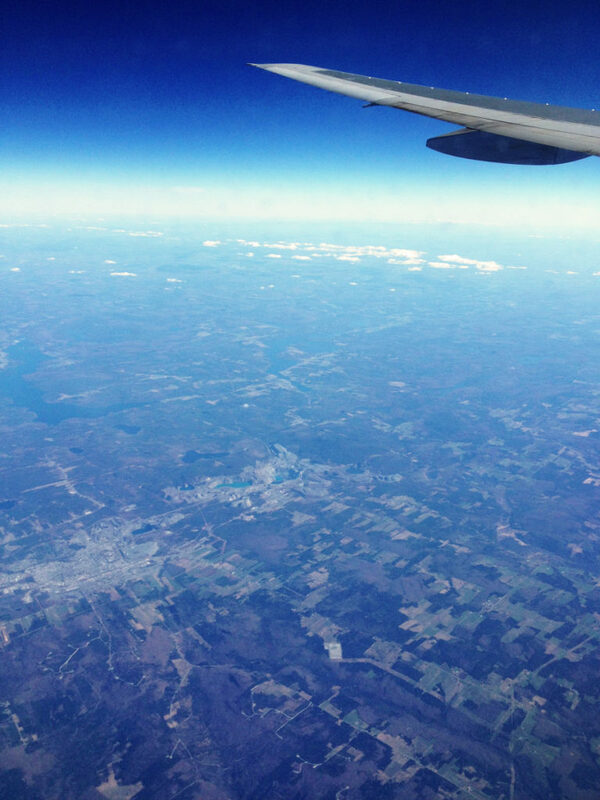 Soon afterwards we are over New Brunswick. 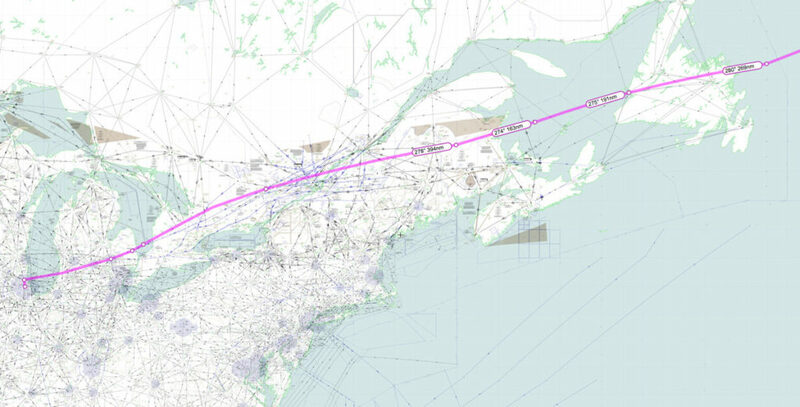 The flight path continues very close to Montréal. 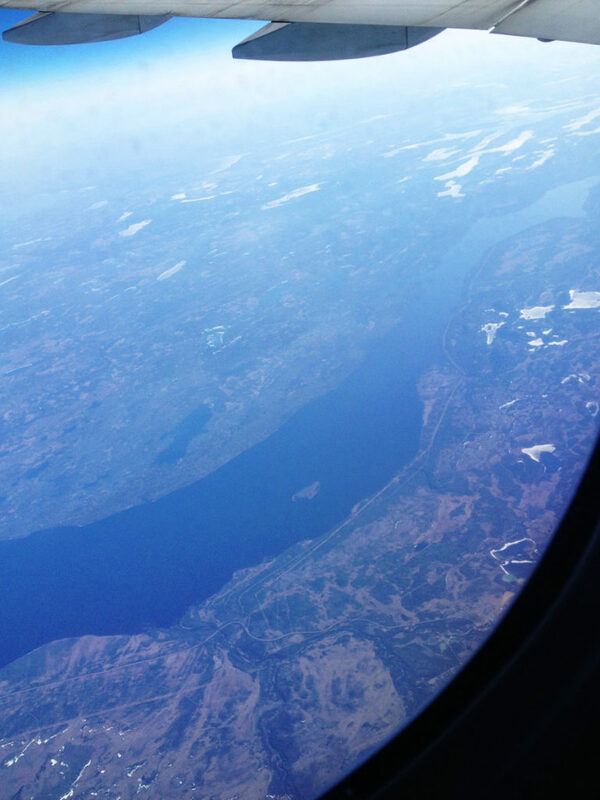 St Lawrence River flows all the way to the ocean. 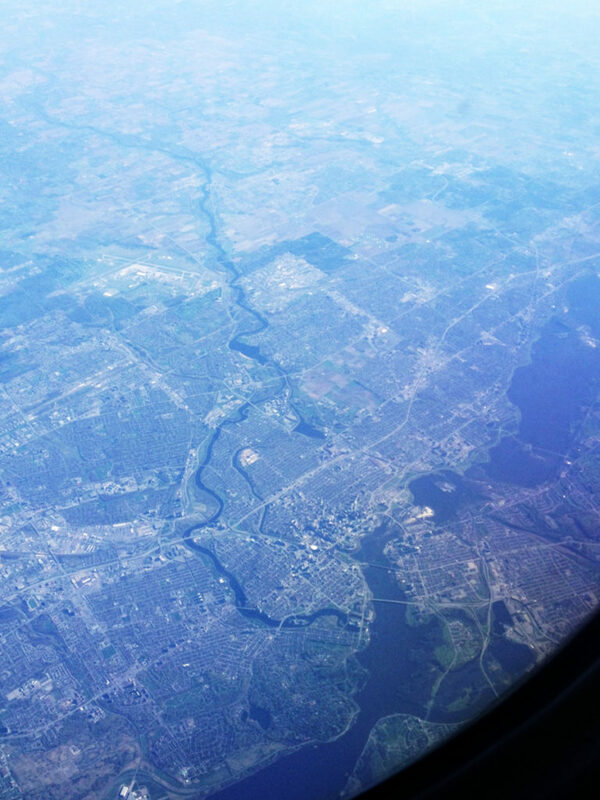 Overflying Ottawa. 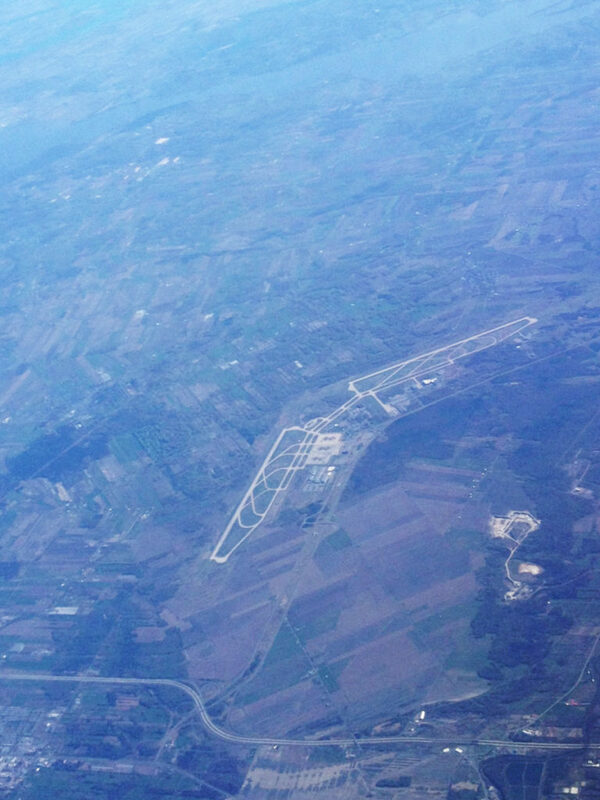 In the distance an overview of Ottawa Macdonald–Cartier (YOW) airport. 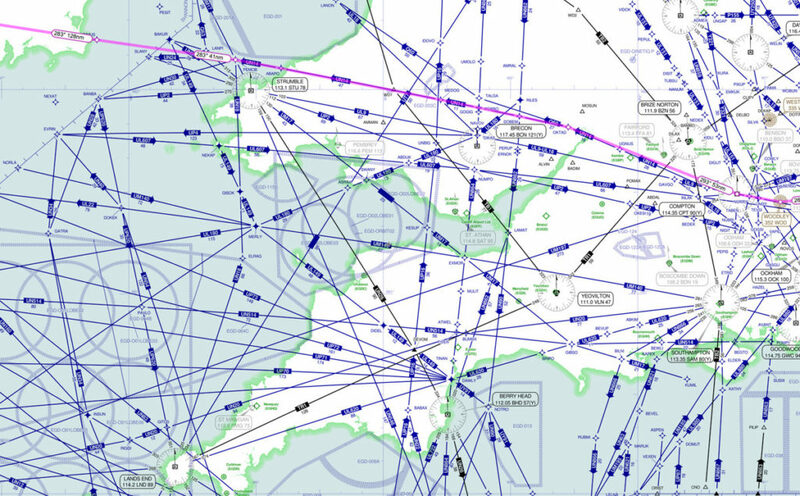 Soon to enter US airspace. 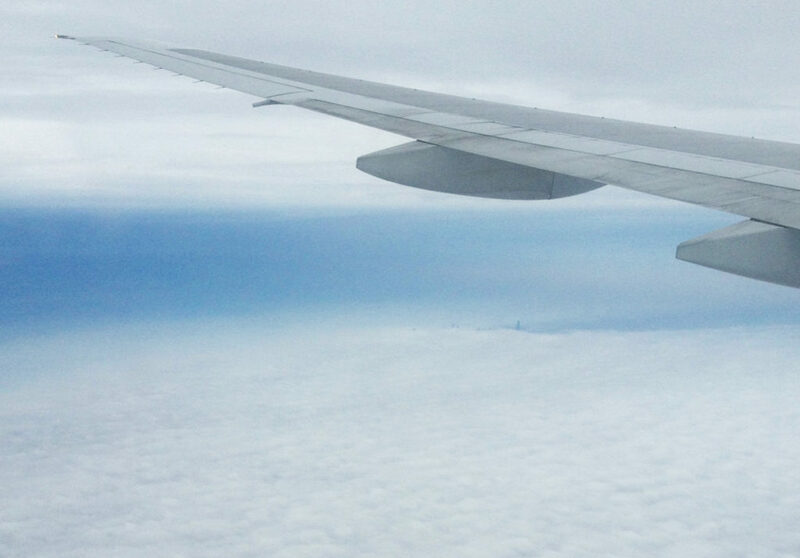 Descending through clouds. In the distance only Sears (Willis) Tower pops out. 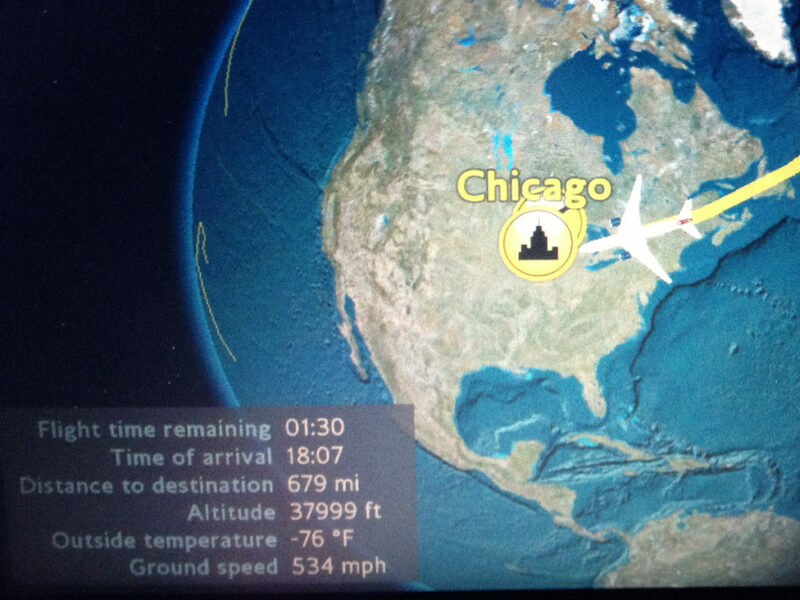 Expediting PAITN2 arrival procedure over Lake Michigan. 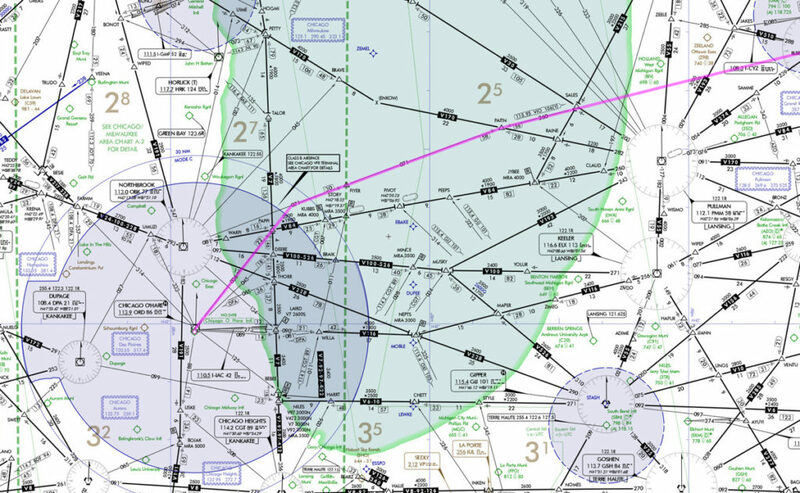 Final vectors after crossing ORD VOR. 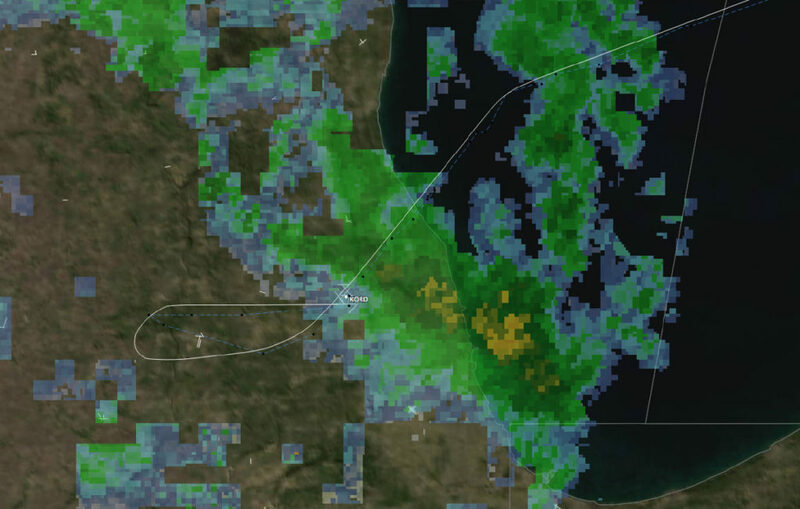 WX map and METAR shows very low cloud ceiling and an interesting approach (watch the video below). 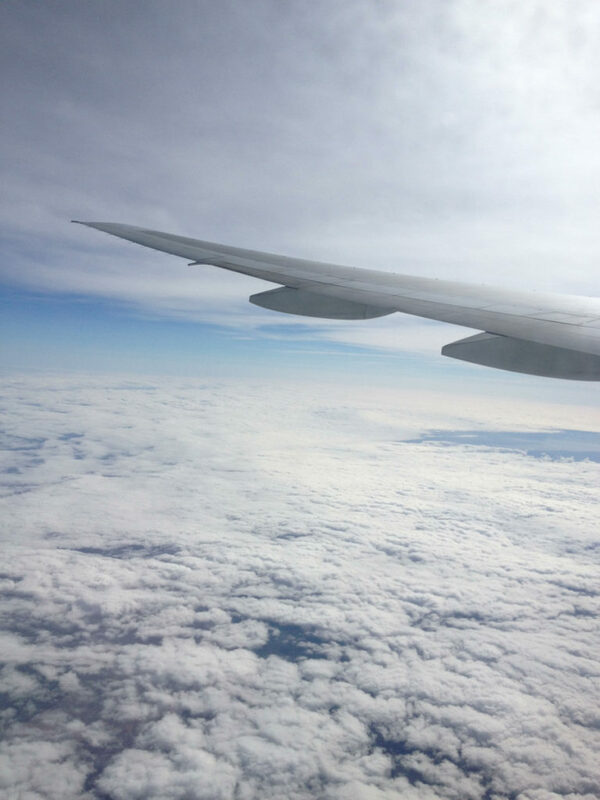 A short clip of an Atlantic crossing while tracking Virgin Atlantic A340, descend through cloudy Chicago skies and landing at Chicago-O’Hare (ORD) on runway 10L. 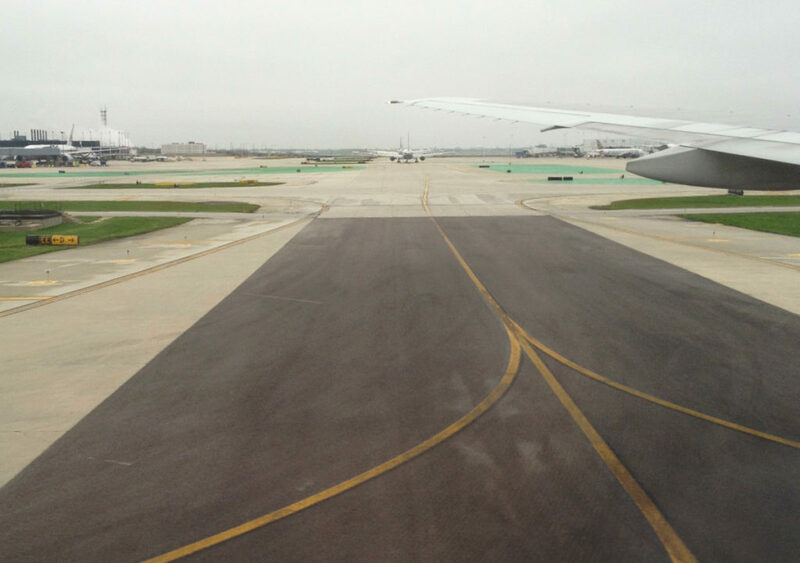 Taxiway EE separating Terminal 3 and Terminal 5 area. 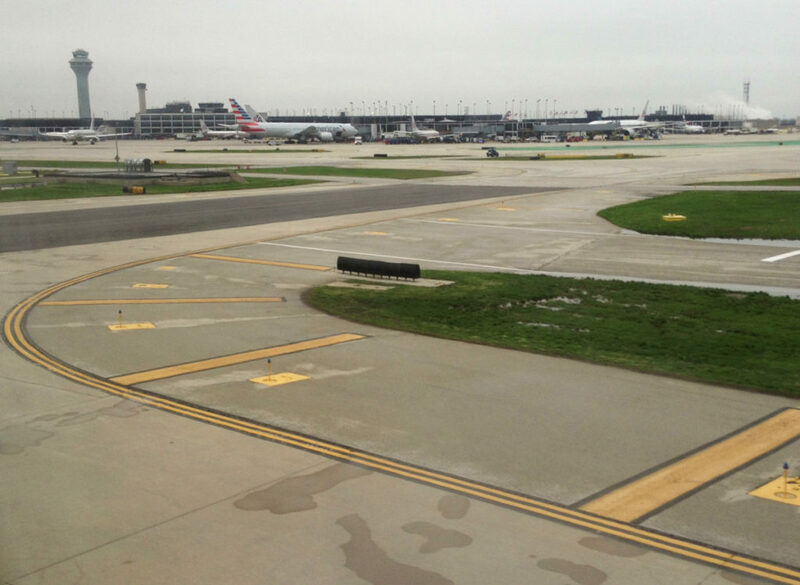 A fun fact: O’Hare doesn’t have Terminal 4. 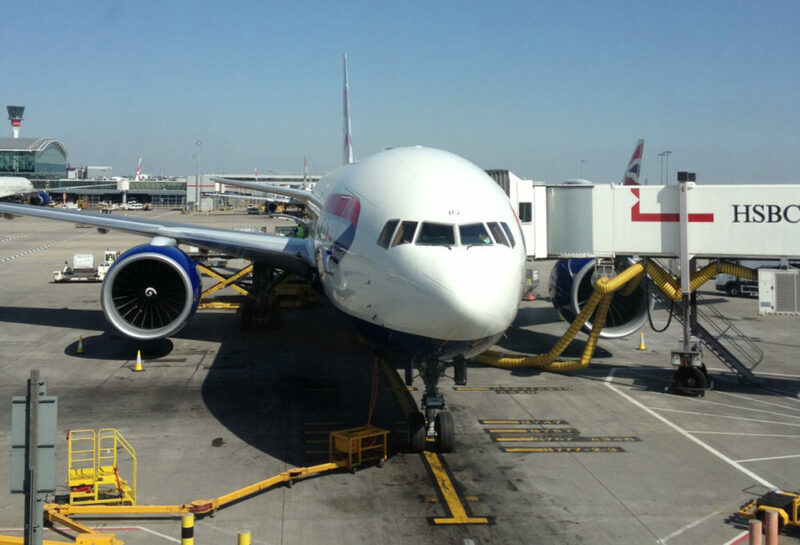 As the airport decided to expand Terminal 4 was built to temporarily carry out international flights. But the operating area was too small. 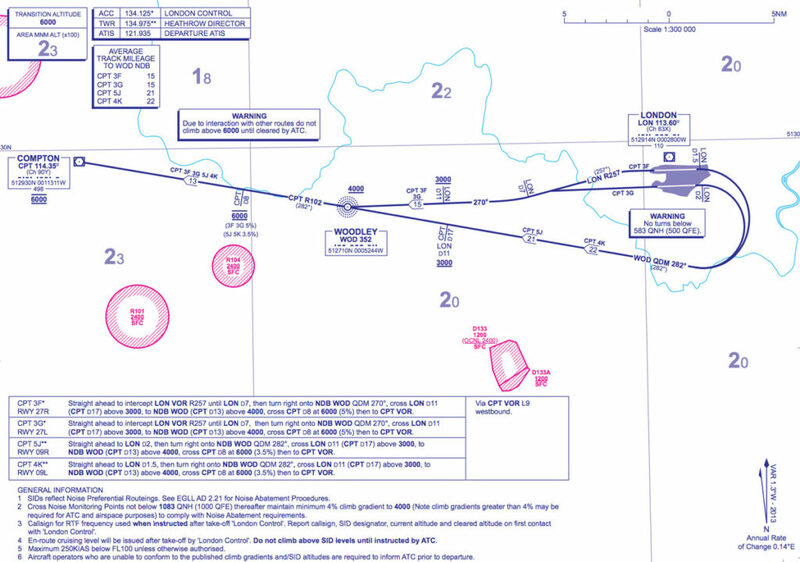 So a new international terminal was planned. 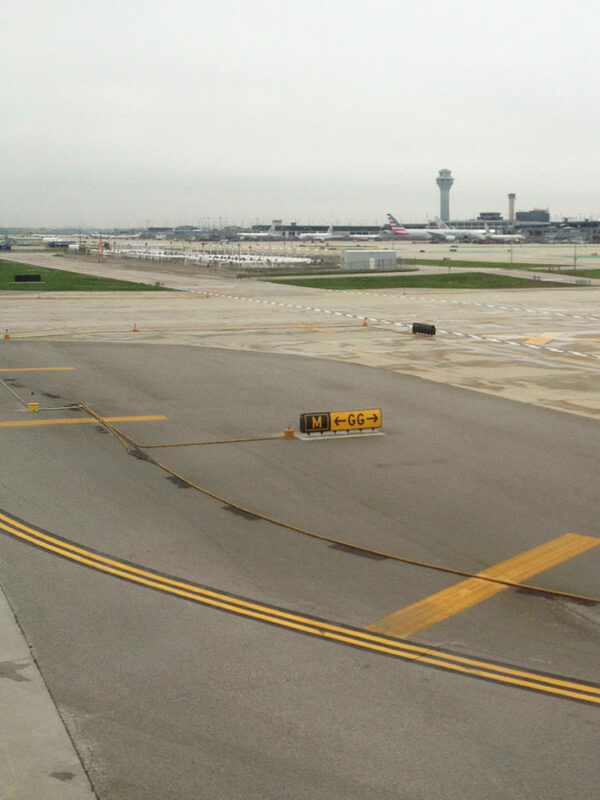 When Terminal 4 closed, O’Hare decided to call the new, improved international area Terminal 5 to avoid confusion (in 1993). An overview of Terminal 3. 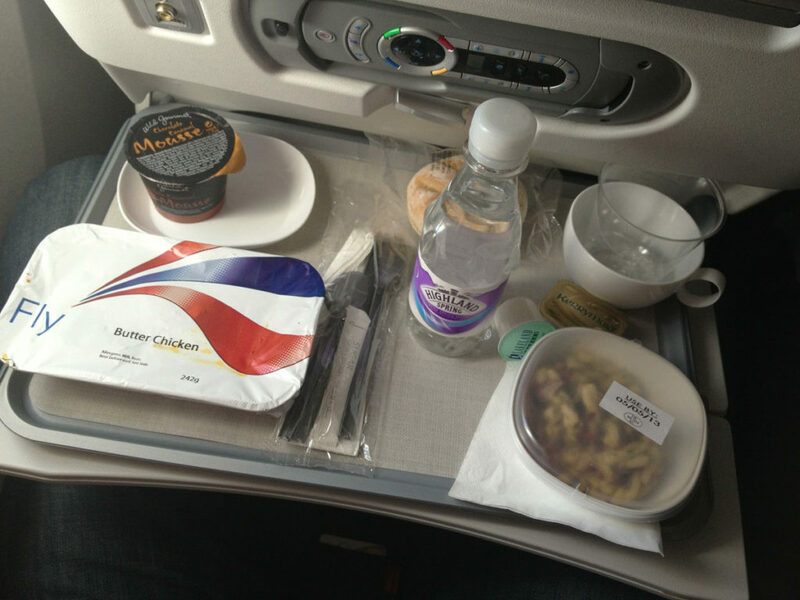 It houses all American Airlines flights, as well as departures for select Oneworld carriers. Terminal 5. 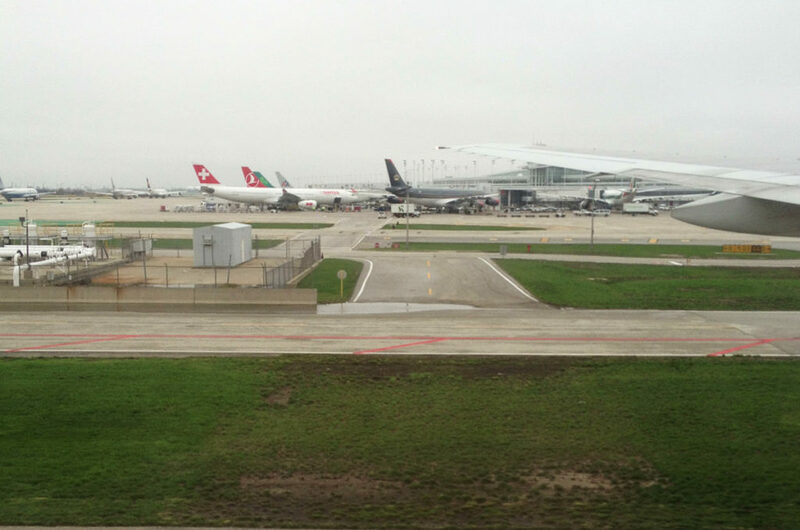 A home of O’Hare international arrivals. 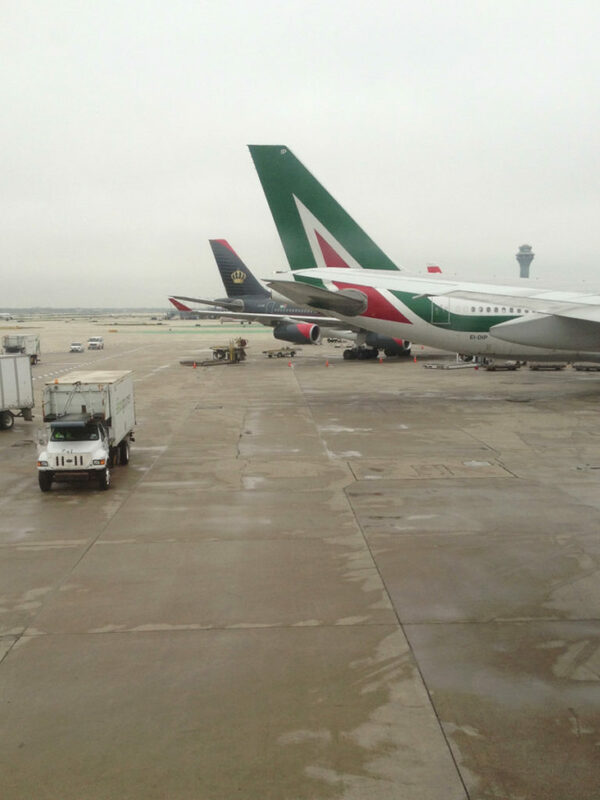 Turning and parking next to Alitalia A330 and Royal Jordanian A340.